CHICAGO (WLS) -- ABC 7 Chicago has a rich tradition of illuminating the good work and good deeds carried out every day by those living in Chicago and suburban neighborhoods. Chicago Proud amplifies those efforts. 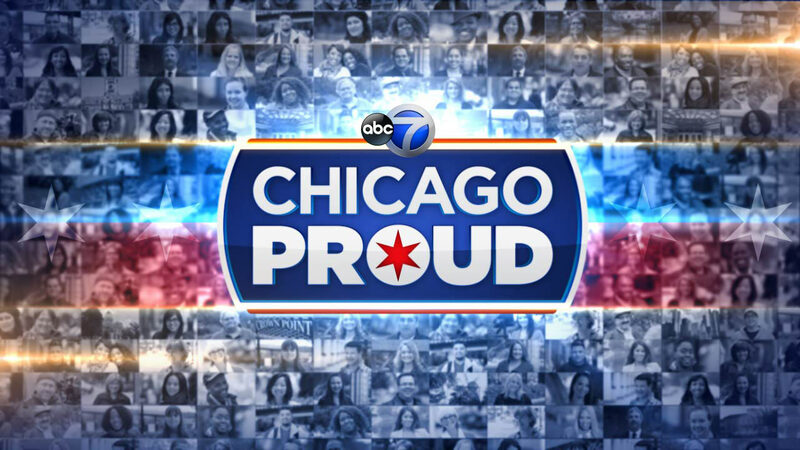 Chicago Proud, is an on-going series of ABC 7 Eyewitness News reports and programming efforts led by Hosea Sanders, with contributions from the ABC 7 Eyewitness News team, spotlighting the remarkable people who make us proud of our hometown. The station's longstanding connection to the community brings to light the countless untold stories of people who live here. ABC 7 Eyewitness News will continue to report on the stories that unite us, inspire us and make us proud to call this city our home. That is Chicago Proud. We encourage our viewers to tell us about the people and organizations in their communities deserving of a Chicago Proud story on ABC 7 Eyewitness News. Share your ideas using the form below or CLICK HERE on our News App and be sure to include ''Chicago Proud Submission'' in the SUBJECT line.